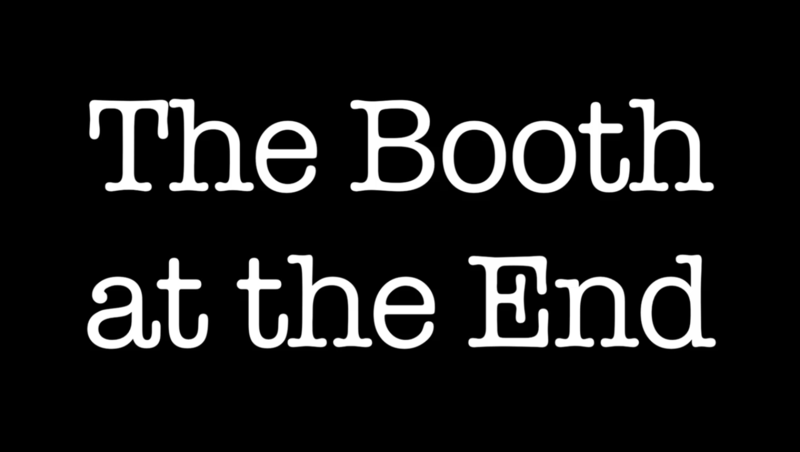 The Booth At The End is a short episodic series. With both season one and two only containing 5 episodes each roughly 22 minutes in length. It is creepy to say the least. The whole of the first season is set inside a diner with a mysterious man sat in a booth at the end. It all revolves around one question. “How far would you go to get what you want?” Several story lines are intertwined and it sets up some interesting twists. I won’t go into detail on all the character, I’ll just recap a few of the intricacies. He’s the guy who sits in the booth at the end. He’s in the diner everyday; does he even go home? People approach him and he asks them what they want and to get what they want he sets them a task to complete. He also asks that they must update him on how things go, in detail. This detail allows for the story to stay in the diner because the characters bring the story with them. The Man often consults and writes in a book when handing out tasks or listening to someone recount what happened to them during their task. James goes into the diner because he wants his son to be cured of Leukaemia. He’s told by the man to choose a girl and then kill her. He chooses a young girl because he believes that as she hasn’t lived long that she wouldn’t be missed as much. Later, we see Willem enter the diner and ask for the woman on the centrefold of some magazine, that’s what he wants. His task is to protect the girl that he tasked James to kill. James tries to run the girl over. Willem saves the girl from being run over. Willem kidnaps the girl because he believes this is the best way to protect her. James follows clues to find Willem and the girl. Willem notices that James has found out where he lives and thinks he must kill James before James kills the girl. James kills Willem when he breaks into his house and threatens his own family. James finds keys to a room and knows where the young girl is being kept but instead of killing her he hands her to the police. On visiting his son it turns out that the Leukaemia has disappeared. The Man tells James that he never guaranteed that refusing to carry out the task would result in his son’s death. Jenny wants to be prettier, she’s tasked with stealing $101,043 from a bank. She buys a gun and scouts banks. One day while scouting she meets a guy who lives in his car and asks The Man is this guy can be her accomplice, The Man agrees after consulting his book. Allen, a detective, wants to find the money from a bank robbery and it told to kill a man. He tells The Man he has, he lied and The Man knew. Allen eventually does kill the person he was tasked to kill and gets the money from the robbery. He doesn’t get the bank robber. Jenny brings Richard to the diner, Richard is also a bank robber. Richard is Allen’s son and Richard is the bank robber that Allen is after. Richard wishes that his father would leave him alone and is told to help Jenny to rob a bank to get the specific amount of money she needs. The robbery goes awry and Jenny is shot in the arm. Richard asks The Man to get Jenny to give up her ‘want’ of being prettier and The Man tells him that he must tell his dad, Allen, that he loves him. Allen now wants his son to come home so he’s told to find and protect a corrupt cop. When Allen receives a phone call off of Richard saying he loves him he comes to the realisation that he, Allen, is in fact the corrupt cop and goes to hand himself in. Jenny and Richard return to The Man once more to tell him that they are not going to be robbing any more banks t0 make Jenny prettier and that they’ve decided to leave town. This series is wholly intriguing and filled with mystery but it’s such a simple concept that it can be played out with a little budget and pull off such drama. 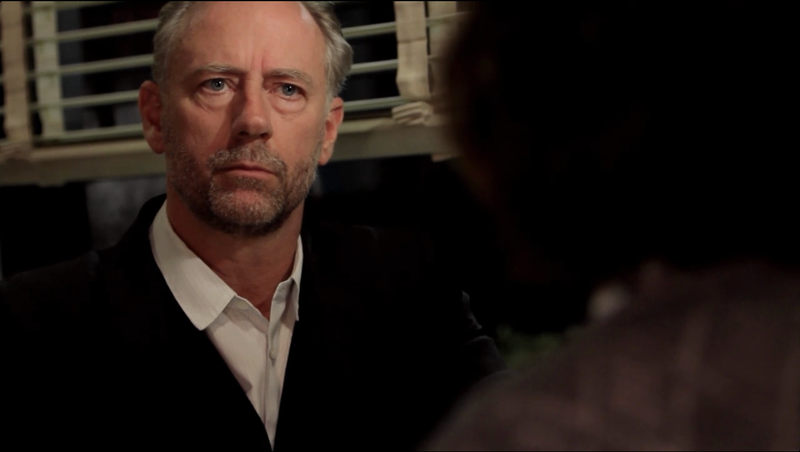 Xander Berkeley plays The Man so brilliantly, he gives nothing away but every time someone comes to him and asks him to help them he responds with such nonchalance. Its like he plays dumb with the fates he’s toying with – a Shepard of man.